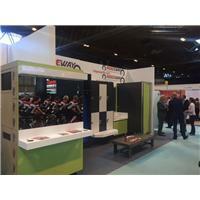 Our sister company, Ridgeway Furniture, has just packed away from another exiciting few days exhibiting at LIW. With thousands of delegates from the leisure industry all assembled in Birmingham, we were proud to display a selection of some of our most popular changing room furniture. LIW is always a great opportunity to meet potential new clients as well as forge strong relationships with our colleagues and fellow exhibitors from different sectors of the industry.